Eating low carb? Doing a challenge or making a change to a paleo lifestyle? Don't let the spaghetti squash intimidate you. 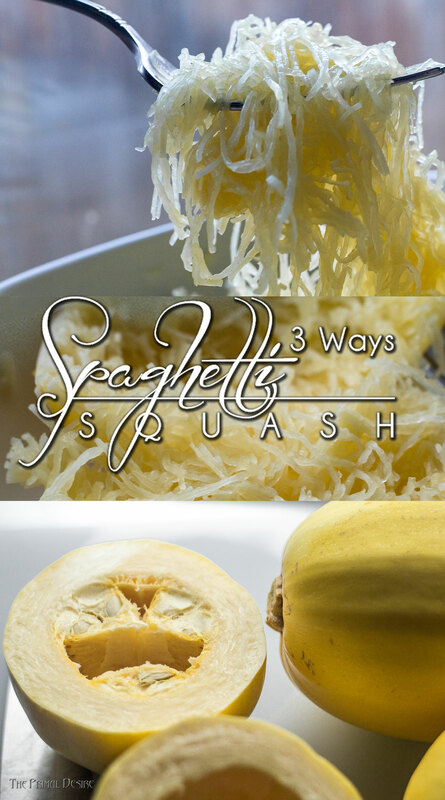 You can master this versatile spaghetti squash 3 ways! Instant Pot (my personal fave), oven and stovetop. How amazing is squash? I mean you can do all sorts of things with them: mash them, whip them, put them in brownies, cake, coffee (hello pumpkin spice things) or shape them into noodles. 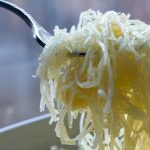 Spaghetti squash already comes in convenient noodle type strands eliminating the need for another kitchen gadget. But don't worry if you still want a spiralizer we get it, we have one too. Because the texture is so important, the spaghetti squash can be daunting. 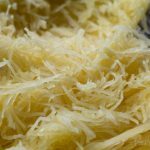 Undercook it and you might as well be wrestling an alligator – those delicious strands are staying firmly attached to the rind. Overcook it and it is a sloppy mushy mess. It still tastes okay, but you definitely know its squash and not noodles. 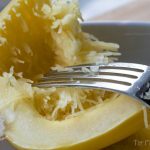 Well never fear: we are here to save the spaghetti squash day by offering three ways to get it cooked to perfection and on your table. The first way is the original way for me. I remember my mom growing spaghetti squash in the garden, picking one fresh and bringing it in for dinner. She always cooked it in the oven. Not for those of you in a hurry or on an especially hot day, but firing up the oven is a great way to get this squash cooked! Using a large knife cut the spaghetti squash in half. Scoop out the seeds and inner membrane and discard. Place the hollowed out spaghetti squash face down on a sheet or pan (with the skin facing up). Bake for 45 minutes, and remove. Allow it to cool slightly before attempting to remove and eat the “spaghetti”. The Second method is a little faster but requires more knife time. If you are anything like me, with a million things on the go, it's easy to lose track and overcook spaghetti squash. It still tastes great a little overcooked, but it is less texturally like pasta. 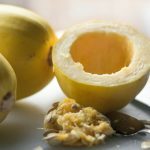 Cut squash in half and scoop out seeds and membrane. Cut halves into 4, so 8 chunks in total. Put into a pot and cover with water. Bring to a boil. Reduce heat to a simmer and continue to cook 15-18 minutes. Drain well and let cool slightly before removing the “spaghetti” from the rind. The last method is my favorite way to cook spaghetti squash. And not just because I passionately love my Instant Pot (I do, really really do). I don't need to worry about the pot boiling over or burning my squash to a crisp, it's not as fast as the stovetop, but not as slow as the oven. And is nearly fail-proof. Like anything you really set your mind to, you can wreck it. I kid, but really, you hold all the power! Without any further delay, the star of the show! 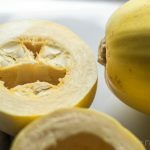 How to cook spaghetti squash in your Instant Pot. 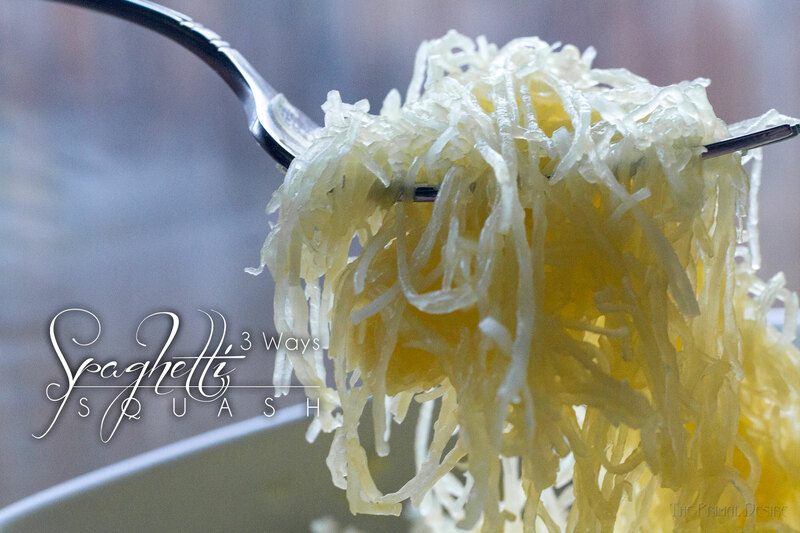 What is your favorite way to cook Spaghetti squash? And what kind of sauce do you love? There are a couple here (spaghetti sauce! ), and here (puttanesca)! But we are always looking for ideas! Eating low carb? Doing a challenge or making a change to a paleo lifestyle? Don't let the spaghetti squash intimidate you. You can master this versatile spaghetti squash 3 ways! 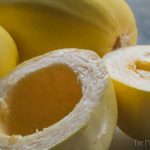 Place the hollowed out spaghetti squash in the Instant Pot, however you can make it fit. Add 1 cup of water, and close the lid. When it beeps, do a QUICK pressure release. Allow it to cool slightly before attempting to eat the “spaghetti”. A fork works best for pulling the squash from the skin. 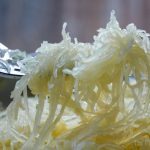 I love me so well-made spaghetti squash, and so true, it can be hard to get the texture correct, but your post was very helpful, thank you for the 3 methods on cooking these, I gotta try it in the Instant Pot!